Origin: USA. Formerly known as Equinox, Ekuanot was developed by the Hop Breeding Company and first released in 2014 as HBC 366. 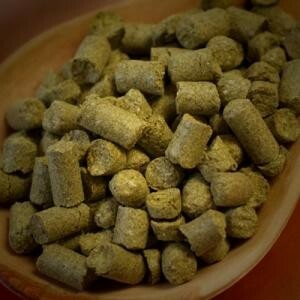 Usage: Aroma and flavor in IPAs, sours, wheat beers, and other styles requiring strong flavor contribution from hops. Ekuanot has been featured in many single-hop beers. Its high oil content (favoring myrcene and humulene in particular) make it a good candidate for late, whirlpool, or dry hop additions. Aroma & Flavor Characteristics: Ekuanot is known for delivering a complex array of aromatics, suggestive of lime, apple, melon, berry, cedar, papaya, bay leaves, eucalyptus, clove, sage, and tobacco.